Happy #FootwearFriday fellow shoe lovers. We have definitely found our go-to, everyday sandals for the summer. 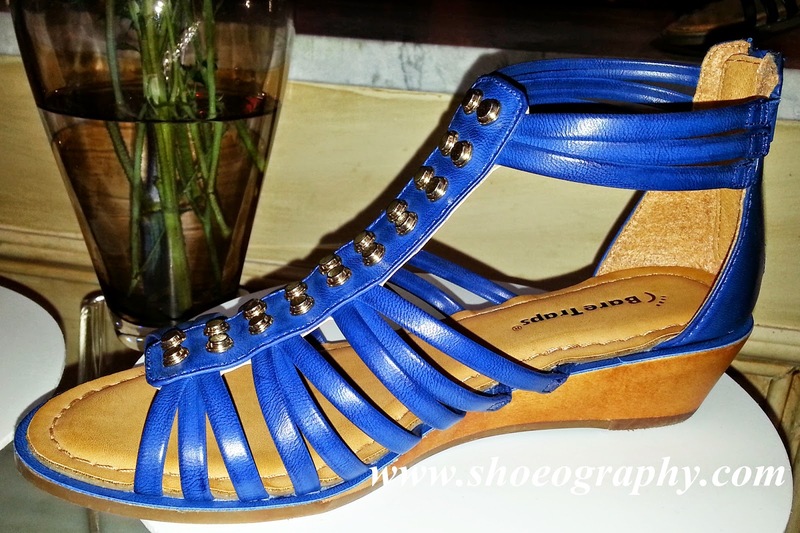 Boasting a low wedge heel, and a faux leather upper with elastic bands for a more secure fit, this BareTraps Belicia Gladiator Sandal gives you a bit of elevation, and lots of comfort. You'll love the Belicia for its gladiator style silhouette, metal stud accents down the vamp, cushioned footbed, almond-shaped open toe, back zipper closure, great color selection (besides the above Lake Blue, the Belicia is also available in Black, Honey Yellow, Fuschia, and Cognac), and its comfy, 1 1/2" genuine wood wedge heel. 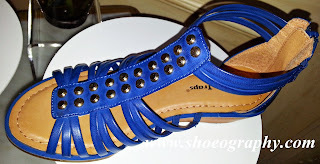 You will also love that this super cute gladiator sandals are currently on sale on www.footwearunlimited.com for $49.99.